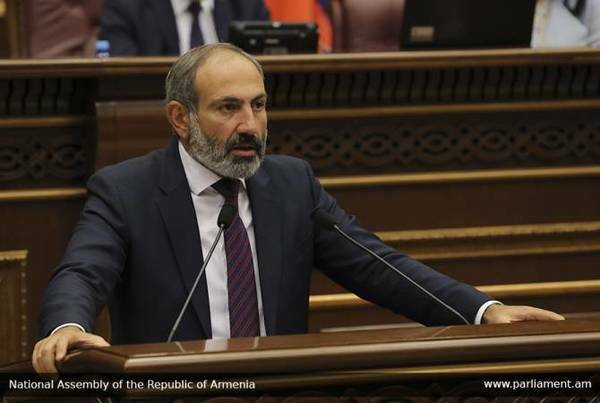 PM Nikol Pashinyan is confident that the citizens of Armenia cannot fail in demonstrating economic activity because the government and the parliamentary majority are declaring this vector and will create its opportunities. Pashinyan was speaking in response to a question from Lusavor Hayastan (Luminous Armenia) lawmaker Ani Samsonyan in parliament. Samsonyan quoted the PM’s earlier statement that the government’s action plan is not rich in numbers because numbers depend also on the activeness of citizens, who in turn must become economic activists. The MP asked what will the government say in the event of failing to record high economic indicators, will it say that it didn’t happen because the citizens didn’t demonstrate economic activeness or not. The PM replied that citizens cannot not demonstrate economic activeness because the December 9 election recorded the agreement between citizens and the government on what will happen in the coming years. “And there are no grounds to presume that the citizens will not implement their share of the agreement. I have come here today to formulate how we will carry out our share of the agreements and how we imagine the implementation of these agreements by the citizens.